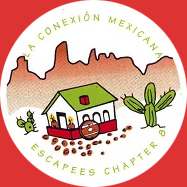 For over thirty years, Chapter 8 of the Escapees RV Club has created uniquely fun rallies in Mexico. On February 11, 2019, we will gather at beautiful Potrero Park (San Diego County) and spend the next 19 days rolling through Tecate, exploring Guadalupe Valley and enjoying the best of Ensenada, Mexico. Please note, we extended the Rolling Rally by one day and the new dates will be February 11 – March 1, 2019. While in past years, Chapter 8 Rallies have attracted mostly couples, we are a singles and family friendly Chapter. If you are an Xscaper (Escapee RV Club member working on the road) let us know what your needs are and how we can make working on the road better for you during the Rolling Rally. While our second camping location at the Zoológico Parque del Niño was a big hit with mature adults previously, it has proven to be a wonderland for children of all ages. Likewise, La Jolla Beach Camp has something for everyone to enjoy on its palm lined Pacific Ocean front. This is primarily a “dry camping” rally with a minimum of five days without hook ups… although restrooms and hot showers are available. Electric hookups at Potrero Park and at La Jolla Beach Camp can be “earned” by being an active volunteer. While we have many events planned, we have allowed time for you to explore on your own as well. Thus, you can enjoy as exciting or as leisurely a Rolling Rally as you prefer. We will have a white board with suggested outings or things to do at each location. Many of you might want to extend your stay for the family friendly Ensenada (Mardi Gras) Carnaval on March 2nd and 3rd. Since this Rally ends in Mexico, be sure your mandatory Mexican Liability Insurance covers you for your return trip to the U.S. border. In contrast to more expensive “commercial” tours, we are a non-profit “all-volunteer” chapter of the Escapees RV Club. This is not only reflected in our low Rally cost but also in great camaraderie and a feeling of “this is our rally as it is organized by us for us.” Just like other volunteer events we value participants more than spectators. To keep our costs low and our Rallies lively we rely on you contributing in some way for the success of future chapter 8 rallies. As you fill out the registration form, think about how you would like to contribute to Chapter 8’s future success.